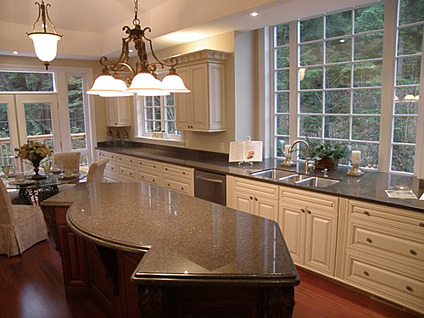 Now that you have chosen a granite or quartz countertop, installation is the next step. Installing a granite counertop is not a job for most homeowners and I strongly suggest you leave it to the professionals. Latitude installs 5,000 granite countertops a year! We have installed granite countertops for most of Canada's popular TV Renovation shows, including "Love It or List It", "Holmes on Homes", "House of Bryan" and "Summer Home". The first step in getting your countertop installed is templating. Your contractor, designer or Latitude will contact you to schedule a template. A template is an electronic measurement of your countertop. This measurement is subsequently turned into a CAD file which will be used to fabricate your countertop. How long does it take to get my granite countertop installed? Latitude usually installs your countertop within 8 business days of completing a template. Our customer department will call you, your dealer or your contractor to confirm and installtion date and time. The day before your installation, we will call you to confirm that we will be there the following day to install your new granite countertop and that there will be someone in the home over the age of 18 who will let us in and can approve the final installtion. How do I ensure that I get an accurate template? When scheduling a template we request that the homeowner, designer or contractor is on site so our templaters may ask questions related to the final installation. If you are replacing an existing countertop only, the old countertop does not have to be removed. However, have your countertop clean and clear of all items. 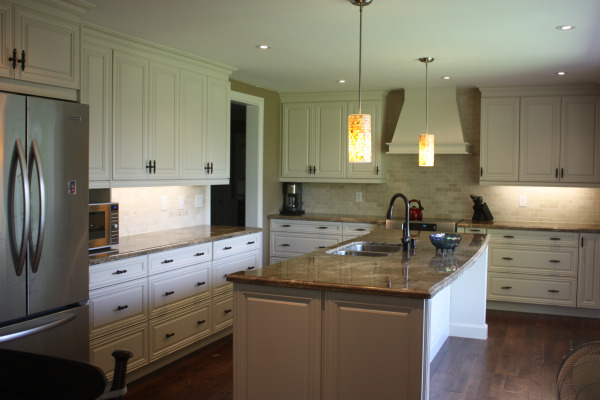 All new cabinetry must be installed prior to templating. Ensure that all cabinets are installed and are level and secure. Appliances, faucets and sinks must be selected prior to templating and should be on site or exact installation measurements available. You can remove your old countertop yourself or you can contract Latitude to remove and dispose of your old countertop for you. How long will I be without a sink? If Latitude is removing your countertop, you can have your sink hooked up 24 hours after installation. Most people select an undermount sink. If your sink is onsite at the time of installation, we will install your sink in your countertop for no extra charge. 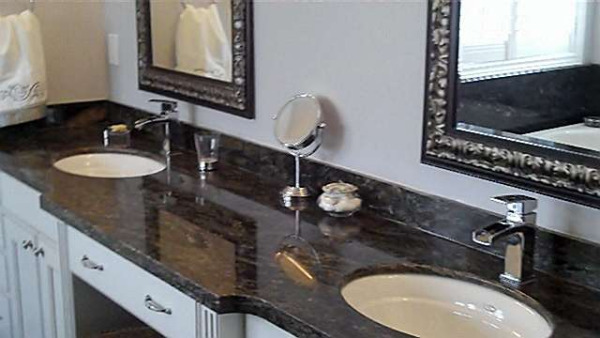 Undermount sinks are attached to your granite countertop with silicone. Silicone must cure for 24 hours before creating a strong bond. During the curing process, the sink is held up with a brace which is removed after 24 hours. Cabinets and walls must be square, level and structuraly sound. Do plumbing fixtures and appliances need to be on site during installation? Sinks, soap dispensers and faucets need to be on site during installation. It is best to have appliances on site as well to ensure proper installation. Who do I call with questions about my granite countertop installation? Your dealer, contractor or designer can help you through the entire installation process. If you bought your countertop from Latitude, our customer service representatives will answer any questions you may have. Once you have your granite countertop installed and your sink connected, now you are ready to enjoy many of the new features of your new kitchen.